After more than three decades in the business, QSC Audio Products, Inc., has become a globally recognized leader in audio manufacturing. This prominence is the result of the company's mission to establish new standards of reliability and performance through the development of breakthrough technologies. 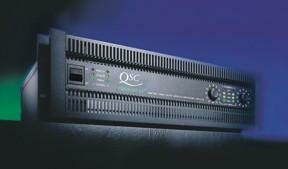 CLICK to see more on QSC amplifiers.